22102 vc: No person in a business district shall make a U-turn, except at an intersection, or on a divided highway where an opening has been provided in accordance with Section 21651. This turning movement shall be made as close as practicable to the extreme left-hand edge of the lanes moving in the driver’s direction of travel immediately prior to the initiation of the turning movement, when more than one lane in the direction of travel is present. Citations issued for violation of 22102 vc is one of the most common traffic tickets in California. 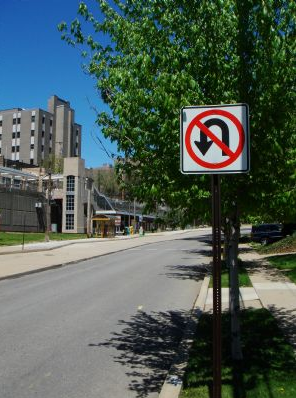 Illegal U-turn tickets can be successfully contested and dismissed using a variety of defenses. Ticket Ninja are experts when it comes to using the trial by declaration process to help you to beat your ticket and get it dismissed! How much is 22102 vc fine amount? The true cost of 22102 vc fine amount may be much higher than the fine amount for the illegal U-Turn ticket in the long term as the DMV point can lead to higher auto insurance rates for three years of more. The fine amount is $238 and carries 1 DMV point. At Ticket Ninja CA, we are the experts when it comes to helping you to get your illegal U-turn violation citation dismissed. We use a proven method of Trial by Written Declaration that gives you two chances to get your traffic ticket dismissed. Our fee is a very reasonable $99, and it comes with a 100% money back guarantee if your U-turn ticket is not dismissed! Click here to get started today!